You are here:Home » Category: "Security"
Motorboat & Yachting: BAE Systems has been awarded £13.5m to build 60 new lightweight rapid response boats for the Royal Navy. 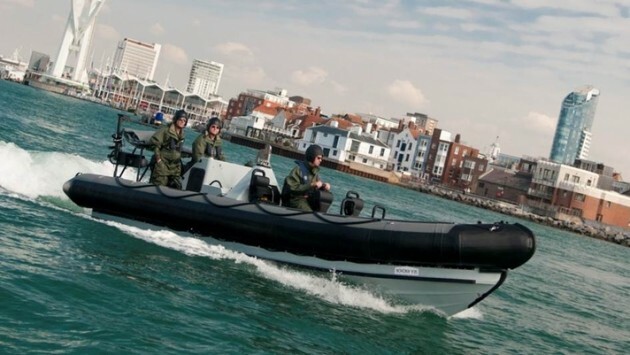 The Royal Navy has signed a multi-million pound contract for 60 next generation Pacific 24 Rigid Inflatable Boats (RIBs) to be built in Portsmouth by BAE Systems. The new boats are designed to be deployed from ship or shore for anti-piracy or drugs missions, or to perform rescue operations. Travelling at speeds of up to 44 miles per hour, the boats can put a huge physical strain on their driver and crew, and have required extensive design changes to compensate. The new fleet of RIBs are being fitted with shock absorbing seats to minimise the impact on crew members, and the change has the added benefit of allowing the boats to travel up to six-times further. The seats are heavy, however, and designers had to find ways to cut weight elsewhere on the boats according to Ben Mason, project manager for the P24 RIB. 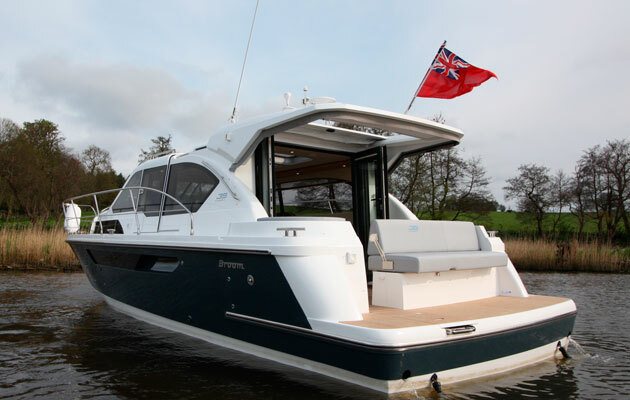 To make the savings, the boats are being fitted with a new, lightweight 370HP twin turbo diesel electronic engine. “Since the engine is electronic, it means a lot of the heavy mechanical components have been removed,” Mason said. Fibre-reinforced composite is also being used in the boat itself, according to Mason. The composite contains less epoxy resin than traditional polyester resin materials, and has a foam core, both of which help to reduce weight. The RIBs will be built over the next four years at the company’s small boats manufacturing facility at Portsmouth Naval Base. They will be deployed on the Royal Navy’s Off Shore Patrol Vessels, and the new Queen Elizabeth Class aircraft carriers, which are due to arrive in Portsmouth in 2017. Motorboat & Yachting: A 73-year-old man dies after a leisure boat overturns off Wexford in the south-east of Ireland. The man, from Salisbury in Wiltshire, died when a leisure boat overturned off Wexford in the south-east of Ireland. He was with nine other people on an 18ft fiberglass leisure boat, which capsized in choppy waters on Saturday, August 29. The alarm was raised shortly after 11pm when the party failed to return from a fishing trip at the expected time and the Kilmore Quay lifeboat with five crew was launched just after 11.30pm. A spokesman for the Kilmore Quay RNLI said that the boat overturned off the Saltee Islands, a few miles from the mainland at Co Wexford. The Saltee Islands passenger ferry, the An Crossan, also joined in the search along with Fethard RNLI. 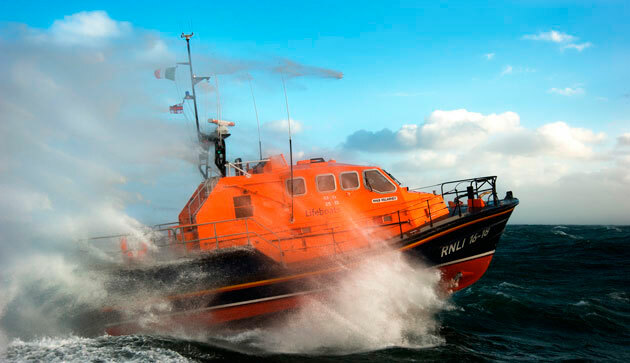 The lifeboat from Kilmore Quay was making its way to the area where it was thought the boat was when it received contact from the An Crossan saying that it had spotted an upturned hull. Ten people were in the water half a mile south of the Great Saltee Islands: a woman, eight men, and a teenage boy. The weather conditions were overcast and there was a Force 2-3 south-westerly blowing. 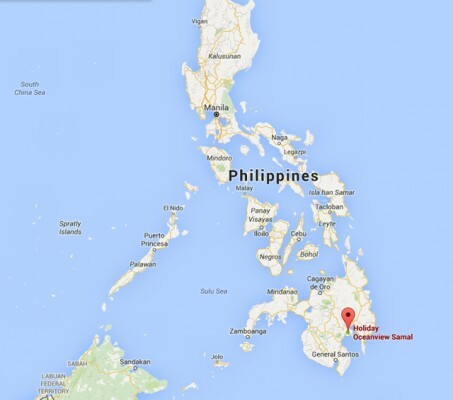 The party was found after passenger ferry’s crew heard shouting from the sea. It is thought the party, all of who were wearing lifejackets, had been in the water for four to five hours. The boat is understood to have overturned in choppy waters when a breaking wave stove in the wheelhouse windows and swamped the vessel. The crew of the An Crossan pulled all 10 people from the water. The RNLI spokesman said that the 73-year-old man from Wiltshire required urgent medical attention and was airlifted by helicopter to Waterford University Hospital about 30 miles away, where he died. The nine other people were transferred to the Kilmore Quay lifeboat and back to shore where they were medically assessed before being transferred to Wexford General Hospital and treated for hypothermia. No other casualties have been reported. The dead man has not been named. Yachting & Boating World: Three teenagers have been arrested after stealing a 40ft yacht near Dublin and leading police on a chase along the east coast of Ireland. 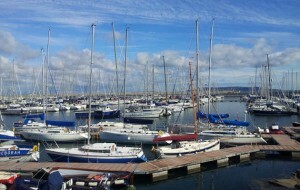 Two boys and a girl, all believed to be 18 and under, stole the vessel from Dun Laoghaire Harbour shortly after 5.30am on Sunday morning, according to the Irish Independent. On realising it was missing, the yacht’s owner notified the Garda, who launched a helicopter to pursue the group. They’d reportedly reached as far as Wexford before returning up the east coast and were later spotted near Greystone Marina at around 1.30pm. The police helicopter spent up to 30 minutes chasing the stolen yacht, with the teenagers driving by other boats at speed. After several attempts at beaching the vessel, the group ran the yacht aground near South Beach just after 3pm. On ditching the vessel, the three suspects fled on foot but were intercepted by police and arrested before being taken to Bray garda station. Pratical Boat Owner: A sailing couple who had been reported missing in the Caribbean, are safe and well in St Lucia, the family have said. Sharon Went Alleyne and Arthur Alleyne are now ‘on land’ in St Lucia. Arthur Alleyne and his wife Sharon Went Alleyne, left their home in St Lucia on 25 October for a routine sail to Barbados, but disappeared, raising fears they had been caught in a storm. Search attempts by marine authorities in Martinique, St Lucia and Barbados were unsuccessful. The couple’s children had appealed for anyone in the surrounding islands with access to boats, light aircraft or helicopters to join in the search as the yacht might have been drifting. Arther Alleyne’s daughter Arianne Moore contacted the Barbados newspaper the Nation, to say all was well; She had spoken to her father Arthur Alleyne and the pair were ‘on land’ in Soufriere, St Lucia. Arianne told the Nation: ‘I don’t know the whole story… He just said that the mast is all ripped up, the sails are shredded, the engines gone, but they are alive. ‘He just said ‘We are alive. Your father is not going to die like that, girl’. Daughter Tao Alleyne used the social networking site Facebook to praise all those who had joined in the search or helped to spread the word. She said: ‘My siblings and I would just like to express how grateful we are to everyone who helped us during these past few days in the search for our parents! ‘Whether you were part of the search and rescue, someone who was passing along the relevant information to different authorities, someone who was sharing the news via media for us or even just someone who was praying for us and our family – we thank you. ‘We are overwhelmed by the love and support from friends and strangers alike and couldn’t have made it through without all of your help! We are so pleased to be able to announce that they have been found safe and well! Motorboat & Yachting: Australian media magnate Kerry Stokes’ 36-metre luxury motoryacht was targeted by three pirates armed with bush knives while moored in Papua New Guinea. The group boarded Antipodean, a 38-metre Oceanfast superyacht, armed with long bush knives and proceeded to steal diving equipment and food, ABC Australia reports. They made their escape in a separate boat, following a confrontation with the crew. Mr Stokes and his family were not on board at the time. 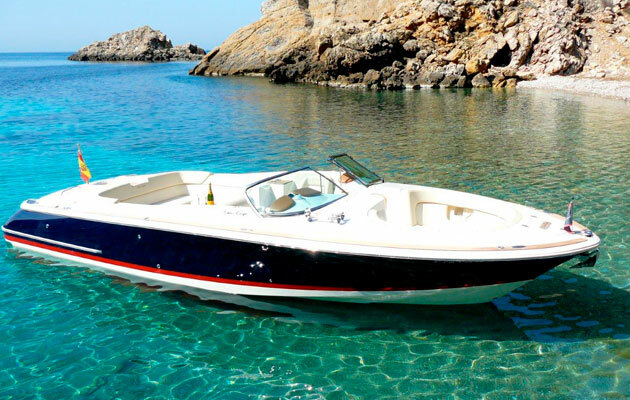 Motorboat & Yachting: A passenger hovercraft pilot found guilty of drink-driving has been sentenced to eight months in jail today (10 September). Richard Pease of Cowes was found to have almost three-times the limit of alcohol in his system six hours after he was taken ill at the helm of Freedom 90, which operates from Southsea to Ryde. The 80ft hovercraft, which is capable of 45 knots, carried 134 passengers across the Solent on Sunday 22 June before the 50-yeard-old skipper had to be relieved of his duties and helped off the vessel by a member of crew. Mr Pease, who has 18 years’ experience as a hovercraft pilot, pleaded guilty at a hearing earlier this summer. While handing down the sentence at Winchester Crown Court, Judge Susan Evans, said: “You put in jeopardy the safety of your passengers, your crew and other vessels in the Solent. His actions have also been condemned by the Maritime and Coastguard Agency, with enforcement officer Neil Cunningham adding: “The master of any vessel has a duty of care to their crew and passengers, so to carry out this responsibility whilst under the influence of alcohol is totally irresponsible. Mr Pease’s former employers Hovertravel are the world’s oldest hovercraft operator and the only passenger hovercraft operator in the UK. Yachting Monthly: Go online and tell the RNLI how you cope. The RNLI, RYA and MCA have launched a survey into ‘attitudes towards risk and safety’ and they want help from Yachting Monthly readers.